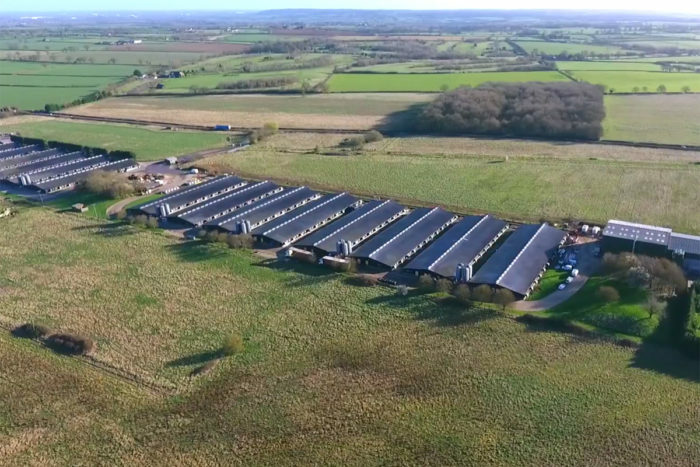 A recent media investigation tracked the proliferation of U.S.-style "megafarms" across the United Kingdom over the last few years; two British reporters discuss their findings. In the United States, factory farms—also known as “concentrated animal feeding operations,” or CAFOs—have been around for decades. While they enable the cheap meat that many Americans take for granted, they also receive criticism for their effects on the environment, animal welfare, human health, and rural communities. In the U.K., however, the largest factory farms are a newer phenomenon. 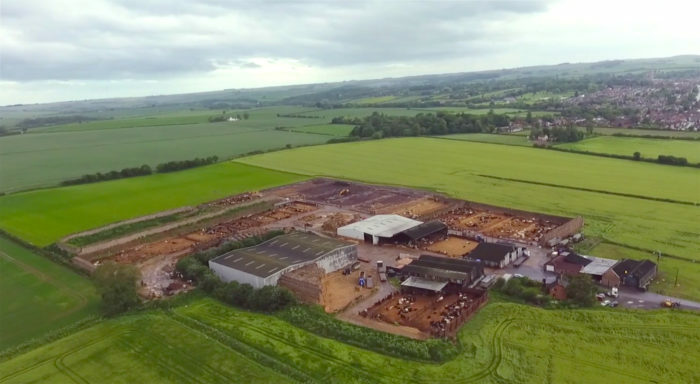 Last month, the U.K.-based Bureau of Investigative Journalism (BIJ) published a series of in-depth articles called “The Rise of the ‘Megafarm’: How British Meat Is Made,” which uncovered the rapid growth of British intensive farms over the past 15 years. During the process of reporting the stories, the journalists gained access to at least one poultry megafarm where they were able to document their visit with photos—a rare occurrence in the U.S., where farms are generally closed to the press. In some states, in fact, ag-gag laws aim to prevent employees, undercover or otherwise, from documenting factory farm operations without their employers’ consent. 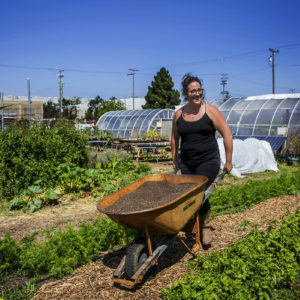 Civil Eats spoke with BIJ reporters Andrew Wasley and Madlen Davies to learn more about the state of industrial-scale agriculture in the U.K. and how the U.S. version of the practice has shaped its evolution. What did the areas where intensive animal farming look like before they moved in, and what does it look like now? Madlen Davies: It hasn’t gone from a green-and-pleasant land to an industrialist state. But they are quite visible, often from roads and railway lines, and lots of local residents are angry that so many have been allowed to be erected in a short period of time. There are different opinions about them. Cargill is the biggest employer in the area. It brings a lot of jobs. But it’s an area of outstanding natural beauty. Groups representing people who have had broiler sheds erected near their houses feel it’s a blight on the countryside. Intensive pig and poultry farming in the U.K. have grown 26 percent since 2011. What are the factors that have led to this growth? Davies: In the 1950s, chicken was quite expensive. Most people only ate it about once a week. Then a company called Buxton Chickens imported factory-farming models from America, and the first fast-processing poultry unit was opened in Aldershot [a town in England]. Once those U.S.-style, intensive models were imported, farmers were able to create more crops, and that drove down the price quite a lot. That increased demand. There were also lots of government campaigns in the ’70s and ’80s advising people to cut down on red meats that were considered fatty. Chicken, on the other hand, was considered a lean meat. Andrew Wasley: Poultry is now Britain’s most popular meat. It’s absolutely everywhere. The sector is expanding year-on-year. 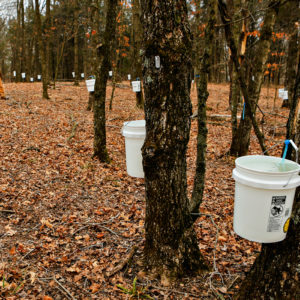 Ultimately, [the proliferation of megafarms] is being driven by consumer demand. 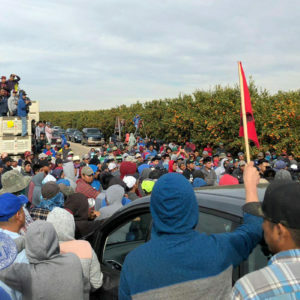 How hard was it to get access to farms? Did you find the industry to be secretive and hard to penetrate? Davies: The British Poultry Council is very forthcoming and wanted to speak to us and was very helpful. We did approach quite a few dairies and asked to visit them, and none of them got back to us. Richard Williams [who appears in the story]—we asked to visit his farm because we had interviewed a neighbor of his who’s very angry and made a whole lot of statements about what it was like to live next to a farm. When I contacted him for his reply to those statements, he invited us there. Wasley: We did try to approach this in a very even-handed, data-led way. It was driven by the figures that we’d obtained. We gave a lot of space to the farming industry for their viewpoint. It wasn’t a welfare scandal or food safety scandal, and I think the industry recognized that. When you went to Richard Williams’ Penhros Farm, you saw windows and hay bales and wooden perches, and Williams said the birds got enrichments, daylight, and fresh air. He also said he never used antibiotics. Was that farm an anomaly or the norm for the industry? Davies: That farm adhered to the Red Tractor Assurance Scheme that requires slightly better welfare conditions than the law. It’s a voluntary scheme, but a really high percentage of poultry producers adhere to it. The amount of chickens per square meter [there] was slightly fewer than the E.U. law requires. Animal welfare campaigners—some argue that [scheme is] cruel: chickens aren’t able to express their natural behaviors; they develop heart and lung problems because they’re selectively bred in order to put on weight fast; and they’re kept in those conditions. Wasley: There’s a move within the industry towards higher welfare systems, partly because the big buyers—the big supermarkets—are recognizing there’s beginning to be a shift in what the public wants. When new farms are now being proposed and built, we understand they are incorporating higher welfare, so slightly better conditions—slightly less stocking densities, windows, etc. They may start off being able to rear the birds to the very basic standards, but they’re building in enhanced features, so should there need to be that quick switch towards a higher welfare system, they’ve got their eye on that. It sounds from like the demand for organic and free-range chicken meat is not particularly high in the U.K. Could you talk about that? Wasley: There is a big market demand in the U.K. for free-range eggs, and that’s been the case for some years. There was a bit of a public outcry around the battery chickens some years ago. So there has been a switch, including from the big retailers and the big supermarkets, towards the free-range eggs. But with meat, I think the British Poultry Council confirmed to us, that it’s a tiny percentage of the market. Davies: Yes, 95 percent of the meat is grown indoors in industrial warehouses. It’s something like 3.4 percent is the free-range market, and 1 percent is the organic market. So, a tiny proportion of the total. It’s interesting that people are concerned with the egg-producing chickens but not the meat-producing chickens. Davies: I think it’s a communications thing—people don’t realize the meat is farmed intensively indoors. Since our article has come out, people have said to me they were quite shocked. Wasley: People are shocked when they actually see a broiler chicken as well—these white, pasty birds with feathers missing. In the U.K., there’s an idea that chicken, whether it’s for meat or eggs, is still coming from the brown red hens pecking around in the farmyards. Even the poultry industry has admitted that image is still there. Certainly for meat, that’s not the case. How frequently are antibiotics used on these farms and why? Wasley: Both pig and poultry [industries] have, in the last couple of years, really woken up to the antibiotic resistance issue. Certainly the poultry sector in the U.K. has been quite forward-thinking—there’s been a big reduction in the prophylactic use of antibiotics for routine preventative use. 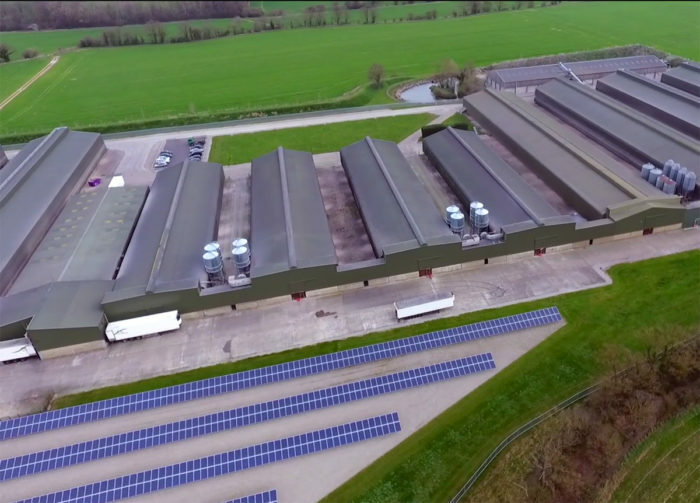 How do the waste disposal systems that U.K. megafarms use compare with those used in the U.S.? Here the waste is often collected in these big open-air “lagoons” and then released over spray fields of feed crops nearby. How does it work in the U.K.? Davies: It sounds fairly similar, maybe not to the same scale. I think the slurry is collected in lagoons on farms and then stored and sprayed and spread on fields. In North Carolina communities are filing lawsuits against big pork producers. They say that they’re sick as a result of the waste and the spray. Is that the case in the U.K.? Wasley: I don’t think there’s been any major health scares here such as there’s been in the U.S., as yet. 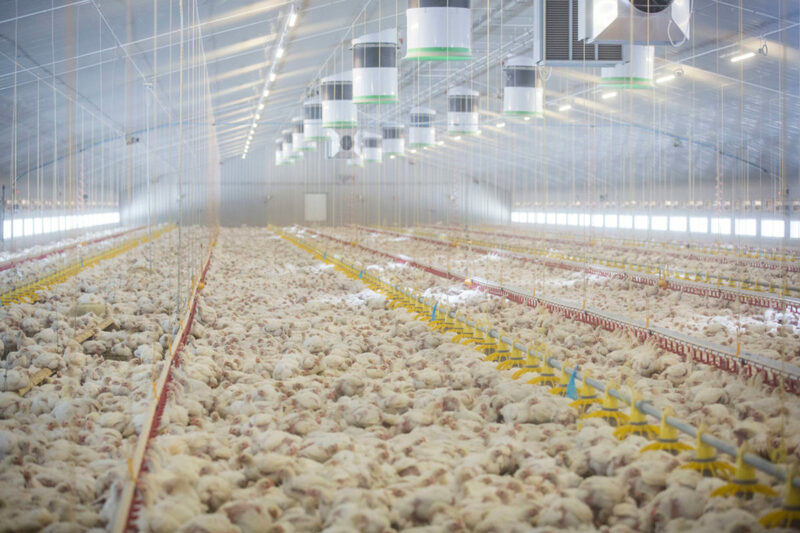 In the U.K. poultry sector, the health concerns raised in the past three or four years have actually been more on the food poisoning side of things. At one point I think two in three supermarket chickens had been found to be contaminated with the campylobacter bug. I think because this is beginning to develop as an issue, there will be more interest in [other effects on human health]. Is there a big lobby by the industry in the U.K. to set policies and regulations that are favorable to the industry? Wasley: We haven’t come across any evidence of the industry trying to blatantly dictate policy. Is the government regulating hog, chicken, and dairy farms? Are they actually checking in on the farms and making sure that they’re complying with the rules? Wasley: The regulation is in place in the U.K., and the regulator, which is the U.K. Environment Agency and its regional counterparts, is on top of this. Permits have to be issued for particular farms, and there’s certainly on paper quite a strong regulatory process. What about the regulatory process off paper? Wasley: We have no evidence that regulation isn’t working. What evidence has shown, though, is a substantial number of breaches or non-compliances have been found during Environment Agency inspections at intensive farms over the past three years. Many were minor, but there were serious breaches too. Davies: There’s a slight loophole in that poultry and pigs have to have these permits to be in business, but it’s not the same for dairy. Denmark has been lauded for requiring more humane methods of farming intensively. Is the industry in the U.K. is looking toward that model? Wasley: The industry would say the U.K. standards are pretty high and robust. Now obviously animal welfare campaigners would take a different view. I think the consensus is that the standards in the U.K. are quite high compared with a lot of other parts of the world, and certainly higher than in the U.S.
Davies: Michael Gove [the secretary of state for environment, food, and rural affairs] was asked in parliament after our investigation whether we’d see a move towards U.S. farming, and he replied that he didn’t want to see that. But Liam Fox, the main man dealing with trade negotiations, has been pro importing methods from the U.S. That’s currently the debate in the U.K.: whether we want to move toward a more U.S. style method of farming where it’s totally indoors and lowering animal welfare standards or not. Who are the voices speaking out against intensive farming in the U.K.? Wasley: There are quite a large number of campaigning organizations and NGOs focused on this issue, ranging from the more radical animal rights type organizations to the more moderate welfare organizations. Those groups have well-oiled media machines and tend to get their messages out and are taken quite seriously politically. Britain has a reputation for being quite big on animal welfare and for being a nation of animal lovers. So, those groups are very mainstream in the U.K.
Davies: There are lots of free trade groups at the moment who are lobbying for cheaper meat to be imported, which implicitly would mean lower animal welfare standards. So there is a constant debate between animal welfare groups and free trade groups. Were people surprised to learn the explosion of these megafarms? Wasley: The findings of our investigations slightly took people by surprise because DEFRA, the Department for Environment Food and Rural Affairs, doesn’t actually keep a database of large intensive CAFOs. I don’t think those figures have really been aired before. Do you expect that growth of megafarms to continue? Davies: Financial analysts have predicted that demand for chicken will increase. It’s probably inevitable that more broiler sheds will be erected. Wasley: Perhaps now too [there will be] more of a debate. I don’t think anyone really had been casting an eye over this, so perhaps that sort of conversation has now started. What lessons do you think that the U.K. will learn from the U.S. as they expand? Wasley: The campaigners and experts would point to the U.S. and say, “Well, look at some of the problems with pollution, with disruption and conflict with local communities.” Possibly some groups will also point to some of those health impacts you mentioned. Davies: People look to the U.S. and look at the problems with pollution and people suing companies in that political area. I guess they would use that as a way to call for more regulation of these farms as they expand. Top photo © Rob Stothard; inline images courtesy of The Bureau of Investigative Journalism.